Below is our review of the Asus X401A, a 14" laptop, featuring 4GB RAM, 500GB hard drive and Windows 8. The X401A's main selling points are the small overall dimensions, thanks to it's slightly smaller than the norm 14" screen (rather than the 15.6" standard), which together with the slim profile contributes to the low overall weight. 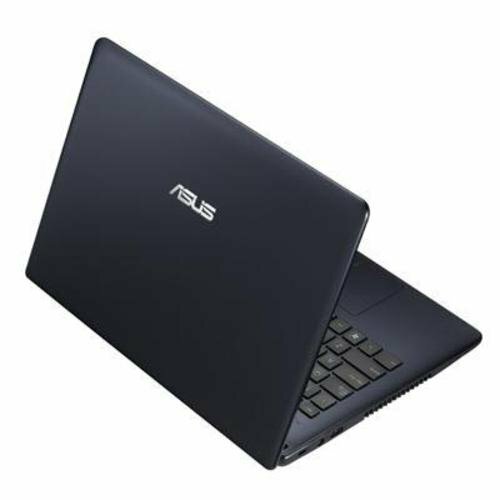 Weighing in at well under 2kg (around the 1.85 mark), it measures 34.1cm high by 23.5cm wide by between 2.65cm and 3.23cm in profile, making this offering from Asus ideal for those who require a notebook which they can easily commute or travel with. Despite the size, it packs quite the punch - an Intel based 1.8GHz processor, 4GB of RAM and a 500GB hard drive, all on the Windows 8 platform. In terms of connections, which is traditionally where smaller laptops fall down (less body typically equals less rooms for external connections), the X401A provides numerous options: 1 microphone jack, 1 headphone jack, 1 x USB 3.0, 1 x USB 2.0, RJ45 Ethernet, VGA and HDMI, as well as a 2 in 1 multi card reader, providing access for both SD and MMC. Please note that there is no DVD drive on this notebook - this does keep the weight and size down to a minimum though. The 14" display is a LED-backlit Slim TFT LCD model, providing an aspect ratio of 16:9, and a standard resolution of 1366 x 768 - which appeared crisp and rendered graphics and colours well. Inside the laptop you'll find 4GB RAM and the Intel Celeron B830 1.8 GHz processor - a dual core processor typically found in lower end laptops, which is based on the Sandy Bridge architecture, and featuring an integrated graphics card in the form of the Intel HD Graphics. Overall it ran Windows 8 well, and handled multiple applications well - for the price it offers pretty good value. Storage is catered with a 5400rpm 500GB hard drive - which should be ample space for what will be, for most people, a second computer - no complaints here. Both the keyboard and touchpad were comfortable to use; as you'd expect there is no number pad to the right hand side - however the keyboard was still comfortable to type on. Audio is provided by Altec Lansing speakers, which offered a good listening experience overall. So to conclude - what did we make of the X401A? Small, light and highly portable, yet with a pretty good specification. No DVD drive, and only 2 USB ports - should hopefully be enough for most users. An ideal cheap laptop for travelling with - light and won't take up too much room in your bag, yet still very capable.